Danny Dorling – 丹尼·道灵 » News » Housing crisis, design feature or design flaw? Housing crisis, design feature or design flaw? Why is the UK so bad at housing people? One reason is that some things, big bulky one-off ‘goods’ like heart surgery, a university degree and a home are very badly allocated when you mostly use the market to allocate them. There are lessons to be learnt from all over Europe, as well as from own past in England, as to how we can house ourselves better. As a student in the 1980s Danny paid £9 a week in rent. He was given a mortgage by a building society to buy a family home in the 1990s when in his twenties, despite having a temporary low paid job. He could write a few books, including on housing, because he had the security to do so, as well as being able to start a family without worrying. There are reasons why such things are not possible now. And there are ways in which we can make them possible again. In the past we used to plan our cities. 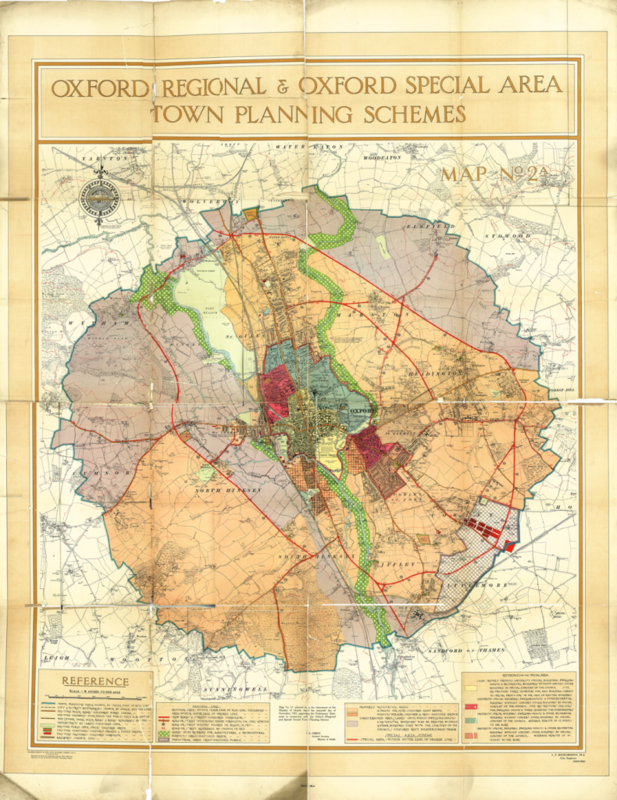 The map below is the 1927 ‘circular’ plan for the city of Oxford. Had the green belt been designated later using this circle are far greener city could have been designed, a city based on the bicycle as the main means of transport However, it may well not have happened. But it could happen now. The bike and walking were the main means of transport in 1927 and could be again, although perhaps not by as soon as 2027! An audio recording is linked to below of a discussion chaired by Lucy Warin (of Transition by Design) in the Open House at Oxford on November 27th 2018. Danny Dorling (School of Geography and the Environment, University of Oxford) speaks first, followed by Ella Hancock, Sarah Ernst and then a more open debate follows. Ella Hancock is Senior Best Practice Officer at Crisis UK, and is conducting research exploring affordable cohousing for young people. Sarah Ernst is an architect working with the Rural Urban Synthesis Society (RUSS), a forward-thinking Community Land Trust to deliver up to 33 self-build homes in Ladywell, Lewisham. Finally, why do we not have cycle route out to the countryside, away from roads? A city with so many bikes needs routes out, especially for places to go to at the weekends. 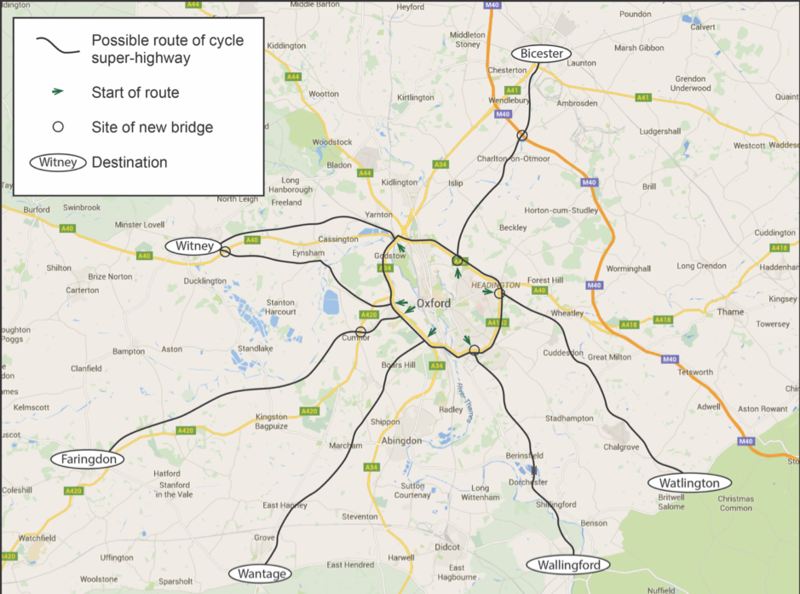 A few long distance cycle commuters might also like to use routes such as this. They are so much cheaper to build than an ‘expressway’ from Oxford to Cambridge which will use increase car dependence. 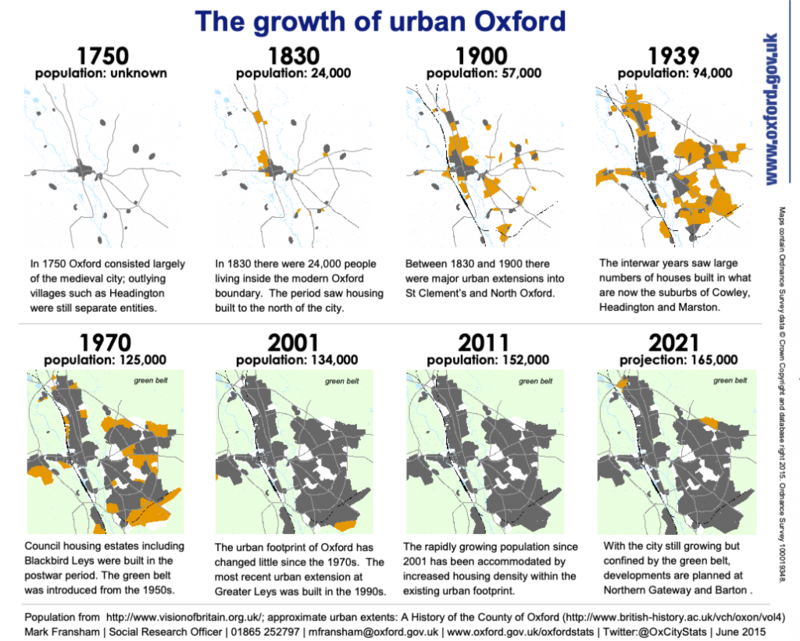 Expand Oxford by bike, walking, bus, tram and train. Not cars, including driverless cars. Good transport, good sewers, a good water supply and good planning is what lies behind good housing.